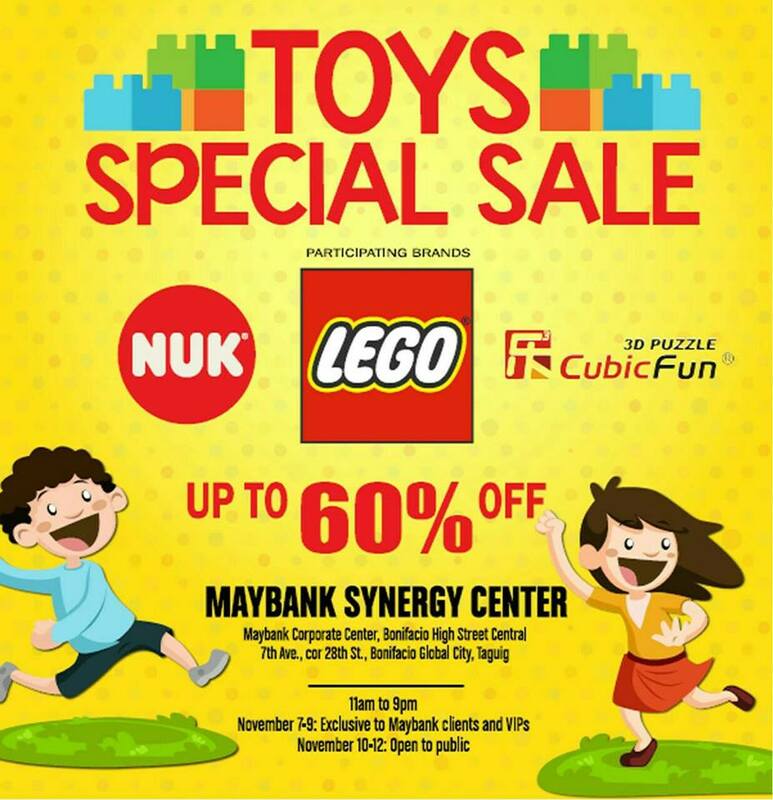 Check out the Toys Special SALE at Maybank Corporate Center in BGC happening until November 12, 2016. Get up to 60% off on selected toys from Lego, NUK, and Cubic Fun. Maybank Cardholders get the first dibs on Nov 7-9, 2016. Public Sale is from November 10-12, 2016.